Microsoft's Network Monitor is a tools that allow capturing and protocol analysis of network traffic. 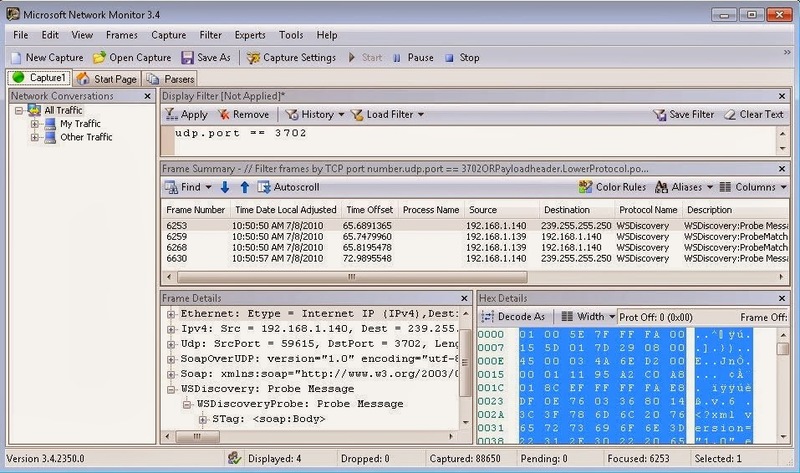 Network Monitor 3 is a protocol analyzer. It enables you to capture, to view, and to analyze network data. You can use it to help troubleshoot problems with applications on the network. This article contains download and support information, installation notes, and general usage information about Network Monitor 3. Network Monitor 3.4 is the latest version. Sorry sir, my litle question. On 32bit work or no? ?